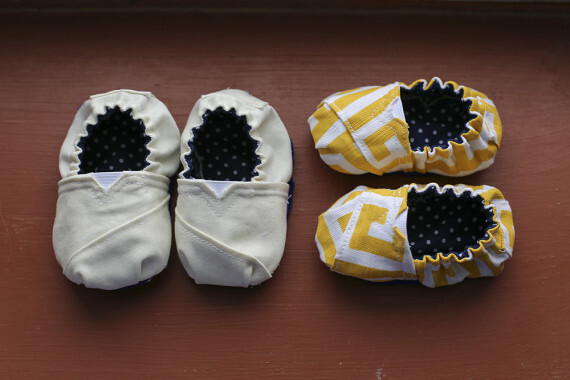 I know that Annabelle isn’t in need of shoes but I found an awesome pattern and tutorial for TOMS inspired baby shoes the other day. I just happened to have all of the materials so while Annabelle was taking a couple of naps I attempted to make her some adorably cute shoes. The tutorial was very detailed and so easy to follow! I used the free General Baby pattern. I’ve made three pairs and have finally gotten the right size for our little lady. I printed the pattern at 100% and it was too small, then I tried printing the pattern at 120% and it was too big. Then I tried 110% and the shoes ended up being just perfect for Annabelle. 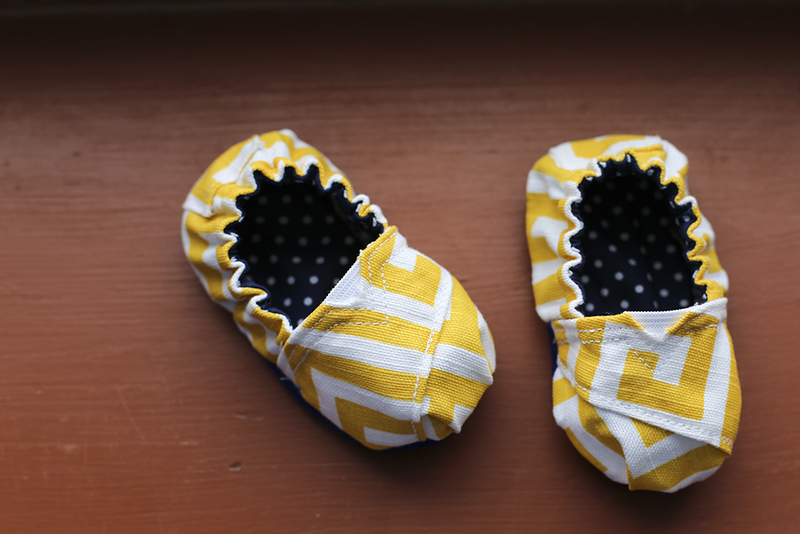 For anyone wanting to try to make some, Annabelle’s 6 months old and printing at the pattern 110% made shoes that we just a little big so she can grow into them and wear them with socks. 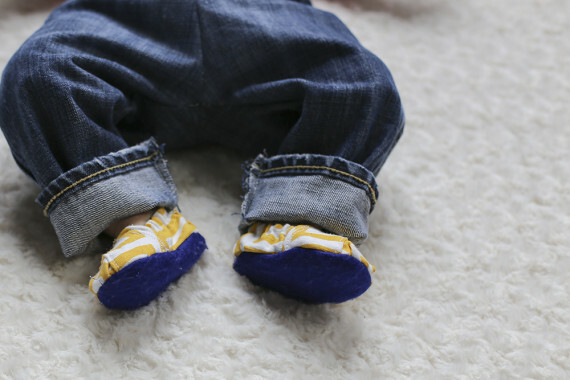 The original pattern created shoes that fit her perfectly with no socks but her little toes had no room to move. 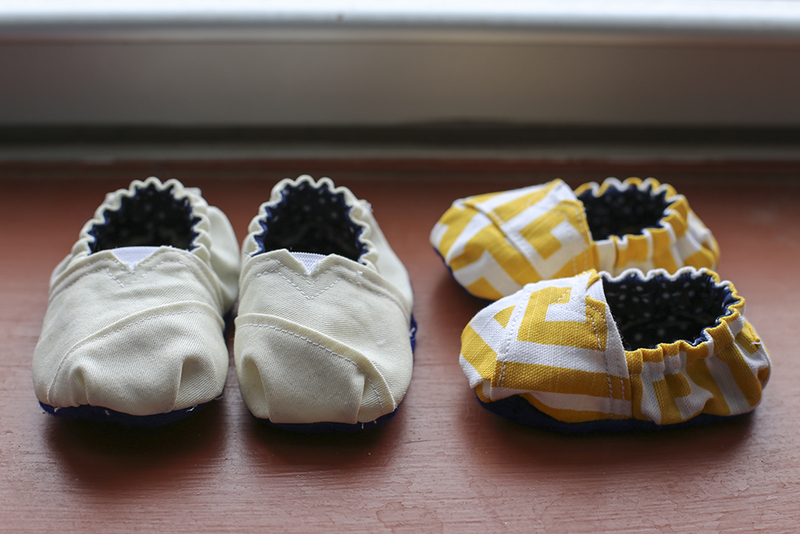 Just a few other notes for anyone trying to make your own TOMS look-a-likes, I used felt for the soles of the shoes and am very happy with the quality. If she was crawling I might try using soft leather or something a little more durable. 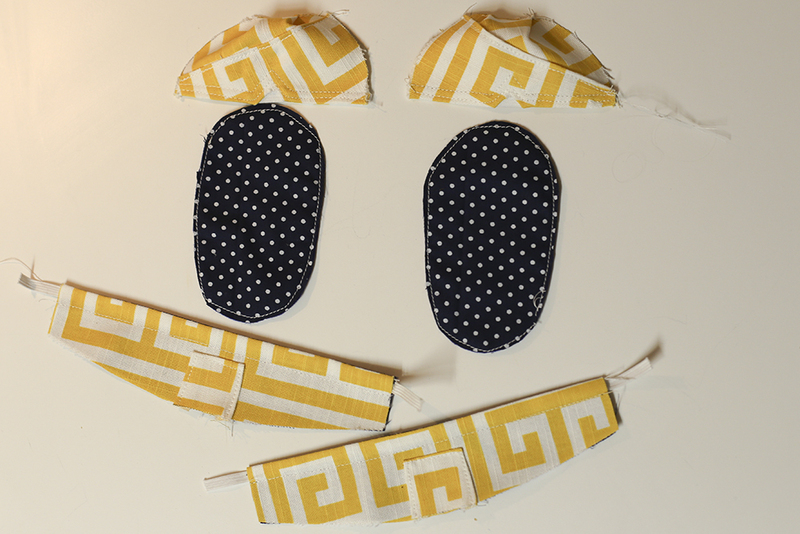 I used a cotton fabric for the lining and a soft canvas fabric for the outside. I didn’t worry about all of the tags that the other TOMS inspired baby shoes have. Those are just adorable!!!! How are you? Feels like its been forever since I’ve seen you! So glad you like the shoes! We need to get a pair for Avi! Thanks for reading the blog!!! !